WHY OR WHY NOT » Judith Hannan Writes: Motherhood Exaggerated...and more! “Why not?” It’s how I answered Nadia when she asked me why she got cancer. It sounds like such a cruel response, as if to strip her of the specialness she thought she had, at least in my eyes. But what I wanted her to know was that she hadn’t done anything to deserve her disease. There are those who might have told her otherwise. There is an organization called Chai Lifeline that provides support to Jewish families with seriously ill children. In their packet of material is a book of prayers and psalms introduced with the words: “One should recognize that all human misfortune or illness is a direct result of man’s evil ways. This awareness will lead him to repentance which is an important factor in alleviating misfortune and illness.” Not much of a lifeline in that for an eight-year-old girl. Not all Jews believe this way, but most religions contain some doctrine that equates illness or tragedy with either being deserved or having some higher purpose. But it is not necessary to believe in God to search for the “why” of an illness. Self-blame is its own religion. I wondered if the fertility drugs I took caused Nadia’s cancer. Did the fetus that didn’t survive and was reabsorbed by my body make it into Nadia’s instead? Why didn’t I respond earlier to the clues that Nadia was ill, even though they made sense only in retrospect? And, of course, the question that still echoes, shouldn’t it have been me? When Nadia finished her treatment, still searching for the reason she got cancer, she said, “I think God gave me cancer because He knew I was strong.” The idea made me cringe. It sounded to me no different than the people who tried to tell me that God never gave us more than we can bear. Even so, I was glad Nadia saw herself as strong. Eight years later, when Nadia had to write her college essay, she tackled the question yet again. She wrote that nether science nor religion can say why she got cancer. Science can say how and it can develop cures; religion can provide comfort. But neither will tell you why. 1. When you or your loved one received a diagnosis, suffered a trauma, or lost a family member, what were the questions that you asked? Begin with why and then continue listing questions in a stream of consciousness fashion. See where your questions take you. Are you still asking? Do you have an answer? Shouldn’t the trees be upside down? Who should I be angry at? What’s my sister’s phone number? Should Nadia see me cry? Does Nadia still trust me? 2. Did your response to illness follow a predictable pattern for you or did it alter your way of responding to life. 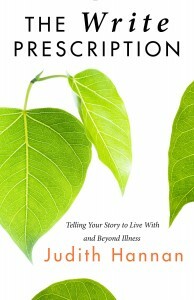 Write about a turning point or time of confusion, from before illness or caregiving. What were the questions you asked yourself then? What were the values or beliefs that helped you through this time? Were you more cynical then or less, more inclined to turn toward God or less, seek community or become isolated. Has illness changed how you respond to the question of why?